Give the gift of indulgence with our ultimate gluten free gift box. Featuring our fan favourite Brownie and Blondie Cookie Shots and all new snack bars. 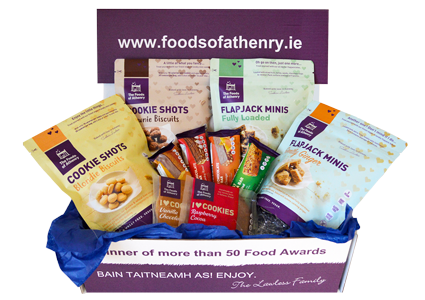 All our products contain no preservatives, additives or hydrogenated fats and come with our TASTE GUARANTEE - Over 50 Taste Awards in the last six years, customer endorsements and the odd celebrity vote of appreciation! All Gluten Free products are registered with the Coeliac Society and carry the crossed grained symbol on pack, which indicates a safe and reassuring choice.